There is a bit of a theme running through the next series of posting on Plymothian transit, in that we are looking very much towards the future, mostly around the transport infrastructure in and around the region. We have appointed South West Highways as the new contractor for our highways maintenance services. Cabinet members have given the preferred bidder the green light after a rigorous procurement process and contracts are due to be signed next month, following a statutory ‘standstill’ period. South West Highways will take over from our current provider in April 2017 and the deal will be for an initial term of seven years, with opportunities to extend the contract by up to three years. As part of its winning bid, South West Highways has committed to providing dedicated customer liaison officers and a public information portal where people can view current and upcoming works and get real-time progress updates for each site. It will also trial innovative technology, such as gully monitoring software to reduce the risk of flooding on the highway. The procurement was carried out in partnership with Somerset and Devon County Councils, who were tendering their highways contracts at the same time. Sharing these costs means better value for money for all three councils, as well as local taxpayers. Companies were invited to tender for one, two or all three contracts. Devon County Council is due to announce its successful bidder tomorrow (Wednesday 14 September) and Somerset will announce its decision at a later date. Whichever contractor is appointed by each individual council, the three will continue to work collaboratively to find ways of achieving ‘more for less’ – for example by co-ordinating activity, procuring materials together, jointly managing contracts and extending schemes into neighbouring areas where it makes practical and financial sense. Devon County Council’s Cabinet has agreed recommendations to award its highways term maintenance contract to Skanska Construction UK Limited. The contract, which is yet to be formally awarded, will run from 1 April 2017 to 31 March 2024, with extension options for a further three years. The Cabinet decision is subject to usual council procedures, and subject to the decision not being “called-in” for further consideration, all of the bidders will be notified of the outcome and the County Council will enter into “standstill” period before Skanska Construction can be formally appointed. 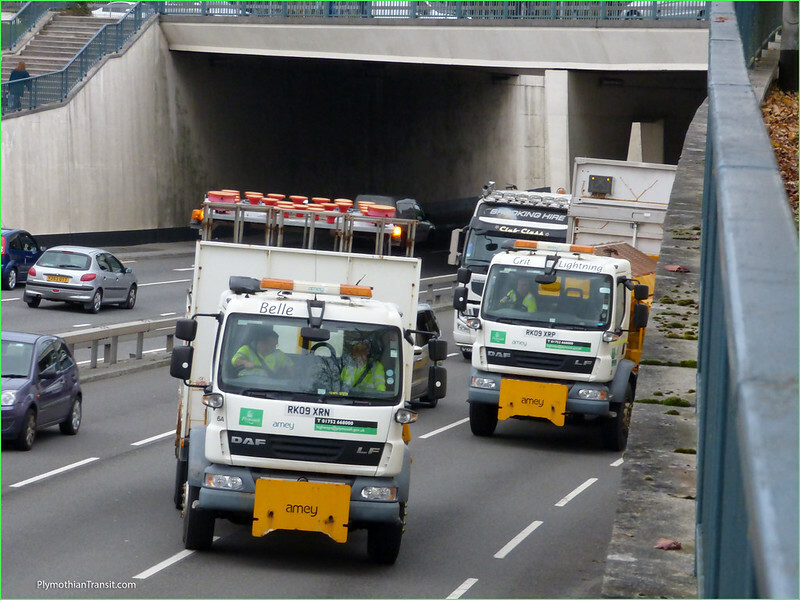 The County Council’s current highways term maintenance contract with South West Highways Ltd, which covers routine, reactive, emergency and planned highway maintenance work, expires at the end of March 2017. It is anticipated that a large number of current South West Highways employees will be eligible to transfer to Skanska Construction UK Ltd, under legislation to protect workers when work passes to a new contractor. Skanska Construction’s proposals, as part of its winning bid, include a range of initiatives to tackle potholes, job creation for Devon residents, introduction of an efficiency and performance manager, an affordability review every three years to target investment, and improved communications. Devon has been working jointly with Plymouth City Council and Somerset County Council in developing the new contract, with companies invited to tender for one, two or all three contracts. Plymouth City Council yesterday (Tuesday 13 September) decided to appoint South West Highways Ltd as its new highway maintenance contractor, subject to the same “call-in” and statutory “standstill’ period, and Somerset is expected to announce its decision at a later date.